Are you looking for the perfect modern mattress yet one with no harmful chemicals? Are you fed up with using traditional memory foam mattresses? I literally spent HALF A DAY reading and re-reading the NOLAH Mattress website- carefully sifting through the information in there, with the aim of presenting it to my readers (YOU) in a simple manner done with a lot of thought, thereby helping you benefit and arrive at a WELL-INFORMED buying decision. A cutting-edge mattress conceptualized and produced by two serial entrepreneurs who have over 20 years of experience in producing sleeping products. A mattress brand that truly cares about the future of our natural habitats and its wildlife – for every NOLAH Mattress sold, one animal gets to be adopted through the care of Defenders of Wildlife. NOLAH Air Foam (Pneumatic) – a unique foam technology that is achieved by infusing billions of air pockets that gives the foam a shock absorber function, in effect adapting to the body’s sleeping needs for every body shape and weight. This is literally the best of both a traditional high end memory foam and latex – the only difference is – it is temperature neutral – meaning it does not fluctuate according to seasonal changes and does not trap heat, with or without the cooling gel – it gives a cooler sleep. NOLAH Mattress only uses natural Viscose fibers – that means the best yarns and wood pulp that wick away moisture and dissipate excess body heat – creating cooler and comfortable sleep and a luxurious soft cover. CAN YOU IMAGINE the SAVINGS whereas traditional stores you can pay up to $2,800 – that is MAD! This company gives back to the community by producing their mattresses in the USA thereby creating jobs that are based in the USA – helping Americans earn a living and support their families. NOLAH Mattress uses a box that is eco-friendly (no unnecesssary CO2 emissions) – this box is also unique that it reduces 80% of shipping volume compared to shipping a conventional mattress. 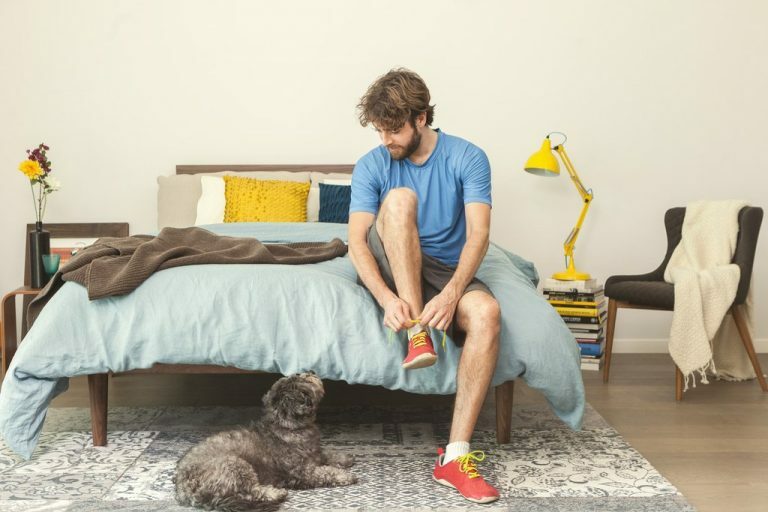 Trackable Purchase – giving you updates and peace of mind about your purchase so you can have the best restorative sleep ever in the shortest waiting time. 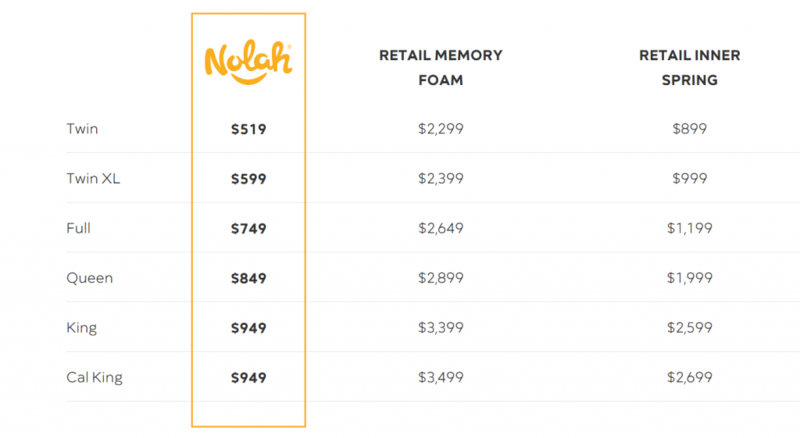 Is NOLAH Mattress Best For Me? Nolah Mattress is universally comfortable – it gives a firmness that is not too firm but not too soft – so it fits any sleeping preference, body weight and shape/curves.